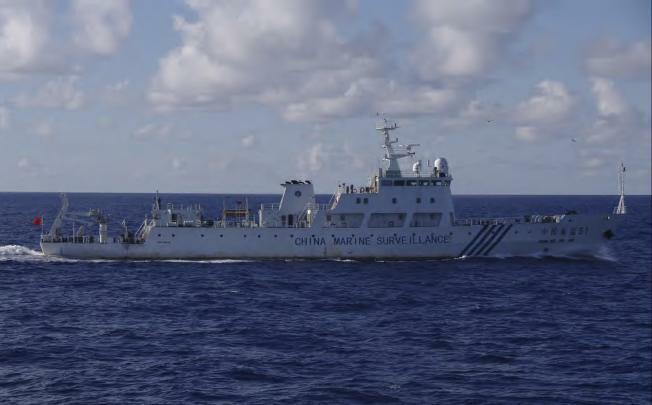 Six Chinese surveillance ships have entered waters near islands claimed by both Japan and China. China said the ships were carrying out “law enforcement” to demonstrate its jurisdiction over the islands, known as Diaoyu in China and Senkaku in Japan. At least two of the vessels left after the Japanese coast guard issued a warning, Japanese officials say. The move came after Japan sealed a deal to buy three of the islands from their private Japanese owner. Japan controls the uninhabited but resource-rich East China Sea islands, which are also claimed by Taiwan. The Japanese Coast Guard said the first two Chinese boats entered Japan’s territorial waters at 06:18 local time, followed by another fleet of four other ships just after 07:00. The first two ships then left the area. A third ship left later on Friday morning, one report said. No force was used, Japanese officials added. “Our patrol vessels are currently telling them to leave our country’s territorial waters,” the coastguard said in a statement. The Chinese foreign ministry confirmed that its ships were there. “These law enforcement and patrol activities are aimed to demonstrate China’s jurisdiction over the Diaoyu Islands and its affiliated islets and ensure the country’s maritime interests,” a statement said. The US has called for ”cooler heads to prevail” as tension intensifies between China and Japan over the islands, which lie south of Okinawa and north of Taiwan. US Defense Secretary Leon Panetta is due to visit both Japan and China from this weekend as part of a tour of the region that also includes New Zealand. The dispute has seriously marred diplomatic relations between China and Japan and threatens to damage the strong trading relationship. The row has also generated strong nationalist sentiment on both sides that observers say now makes it very difficult to be seen to be backing down. The Japanese government says it is buying the islands to promote their stable and peaceful management. Its move followed a bid by right-wing Tokyo Governor Shintaro Ishihara to buy the islands using public donations – an action that would likely have further provoked China. China, on the other hand, says the islands have historically been its territory and fishing grounds. Meanwhile Japan’s newly-appointed ambassador to China, Shinichi Nishimiya, remains in hospital in Tokyo after he was found unconscious near his home in Tokyo on Thursday. No details have been given on his condition. He was appointed on Tuesday to replace Uichiro Niwa, who has been criticized for his handling of one of the worse diplomatic rows between Japan and China in recent years.